The FAO Research and Extension Branch has jointly presented three of its initiatives at the third day of the Global Share Fair under the title “Approaches for strengthening stakeholders’ abilities to generate, adapt and share experiences”. 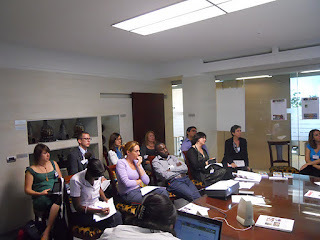 Participants from seven Western African countries, in which Food Security through Commercialization of Agriculture (FSCA/PISA) Projects are being implemented, met in Dakar in 2010. In a workshop participants learned ten new communication tools, such as SWOT analysis, open space, mind mapping, chat show and mapping of communication flows. They used them actively for knowledge exchange and learning from local solutions to challenges common to all FSCA/PISA initiatives. Even though the participants did not all share a common language, the interpretation as well as focussing on visual methods was very helpful in establishing exchange that continues beyond the workshop. 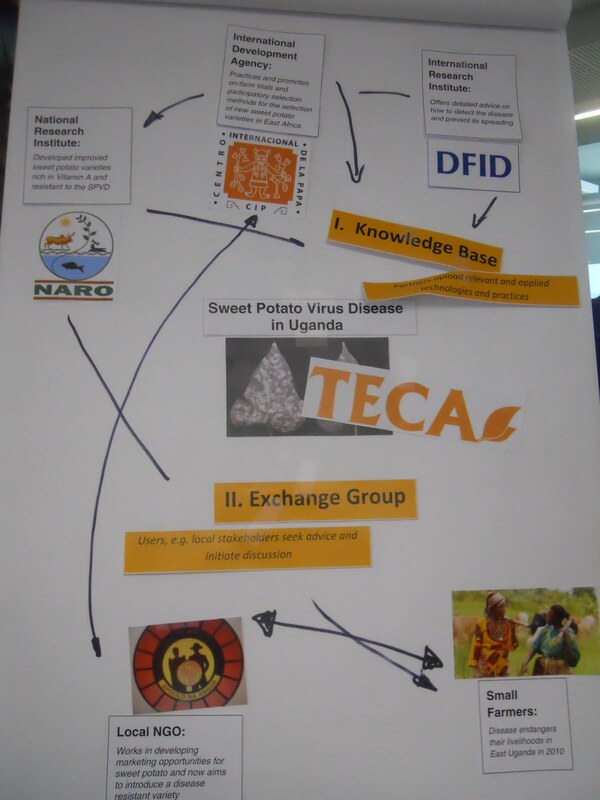 Using the example of a sweet potato disease outbreak in Eastern Uganda, the aims and functions FAO’s online platform for applied technologies and practices (TECA) were illustrated. Partners of TECA such as NARO (National Agricultural Research Organisation in Uganda), the International Potato Center (CIP) and DIFID have shared sweet potato technologies on TECAs online knowledge base. The manager of a local NGO, who has direct contact with local farmers, used TECA’s Exchange Group to alert other stakeholders to the problem and was put in touch with a CIP researcher. TECA enabled this NGO to respond more effectively to the problem on the ground. RADCON addresses the communication gap between research centres, extension services, the ministry of agriculture, the private sector and above all small farming communities with a special focus on women and youth. The network facilitates the sharing of knowledge among all stakeholders. At the core of the network are the RADCON centres, to which individual farmers can go to ask specific questions concerning their farming practices. These centres are linked to five so called expert systems (on rice, tomatoes, wheat, grapes and beans), to which village facilitators send the inquiries and receive feedback from specialists. Similar projects are being implemented for example in Bhutan, Uganda and Armenia as part of the Virtual Extension and Research Communication Network (VERCON). All of these initiatives face challenges, which were discussed in some detail in the session. To make these communication tools and systems work, building capacities for technology and empowering local actors is often necessary. In some cases this means to train basic computer skills (as in the case of VERCON Bhutan). In other cases a face-to-face interaction of an online community might be necessary, thus realising the human component of technology adoption. Another challenge is to build sustainable solutions, which will endure when the external resources are no longer available. All three initiatives require commitment of human and financial resources by the partners, particularly governments. 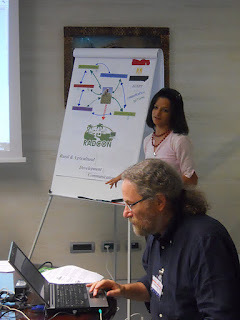 In the case of TECA the team at FAO can support partners (like research institutes or development agencies) by providing the software for a decentralised platform, but they will have to commit resources to its adaptation to their needs and its maintenance.